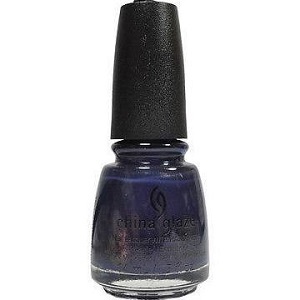 China Glaze Nail Polish, Sleeping Under The Stars, 1411, .50 fl. oz. Dark indigo blue creme nail color with subtle pink shimmer. China Glaze The Great Outdoors Collection.